More from Ryan M. Harrison, Sr.
Ryan M. Harrison, Sr. is an Associate in Lozano Smith’s Sacramento Office. He advises local government clients through the intricacies of public agency law. Mr. Harrison’s experience extends to litigating cases involving negligent conduct and labor and employment discrimination. He has conducted several internal investigations on employee misconduct. He has experience with city planning and zoning law, CEQA issues, and in drafting and interpreting municipal ordinances. He also has expertise in drafting motions and briefs, including appellate briefs, motions for summary judgment, demurrers, and discovery motions. During law school, Mr. Harrison externed for the Chief Justice of the Supreme Court of California, where he provided research and analysis for cases on the Court’s calendar. He also received Witkin awards for academic excellence in disability discrimination, and criminal procedure, and he competed on the #1 ranked UC Hastings appellate advocacy moot court competition team. Mr. Harrison served multiple years as a principal consultant in the California Senate Rules Committee, where he monitored California industries and advised Senate members on policy objectives. Mr. Harrison is a former law enforcement officer and has received California Peace Officer Standards and Training (P.O.S.T.) certification for special investigators. He received his Juris Doctor from the University of California, Hastings College of the Law. He received a Masters of Science in Criminal Justice from California State University, Sacramento. And, he earned a Bachelor of Arts in Sociology from the University of California, Davis. Mr. Harrison serves as a Board of Appeals commissioner for the City of West Sacramento. In the past, he served as a planning commissioner for the City of West Sacramento. 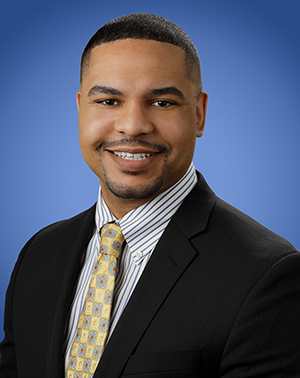 He is a member of the UC Davis Health Community Advisory Board, and he serves on the executive board of the Wiley Manuel Bar Association of Sacramento, where he serves as a delegate to the California Association of Black Lawyers. In this role, he represents black attorneys from Sacramento County in service alongside members from the Charles Houston Bar Association of the San Francisco Bay Area, the John Langston Bar Association of Los Angeles, and other affiliate chapters. While in law school, Mr. Harrison served as a student-representative for UC Hastings before the California State Legislature. In 2012, the Board of Governors for UC Hastings nominated Mr. Harrison for its highest civil service award, the Rummel Award, for his advocacy in helping successfully secure the school’s largest budgetary allotment in school history. In 2017, California State University, Sacramento, honored Mr. Harrison as its Distinguished Alumni Rising Star, for his service and leadership in the community.